Hi! I was wondering if anyone knew where I could find some Rhodocollybia maculata? I know they like to grow on dead pine trees but I was wondering if they prefer a specific species of pine tree and where they can be found in California. I cannot find much detailed information about them anywhere. I live in Santa Barbara so it would be amazing if I could find some here (although I doubt it ). Any information would be amazing. I am looking to make spore prints of these guys. I would like to say hi and nice to meet you to everyone that indulges their time and energy in the wonderful mysterious world of mycology and fungi. I am new to mushrooming and must have photographed over 30 species of mushroom this past 3 days and am on a quest to ID them, understand them, and learn their life cycles. I greatly appreciate any help given and am looking to find local or national mushroom groups as well. Happy holidays and Merry mushrooms!! Hello again y'all! These guys I found are right outside my front door near plants that I grow behind a hedge. A year or so ago I spread primarily oak based shredded wood with leaves and all from a local company all under the hedge in question. This is the second or third round of these guys popping up albeit many other species as well. At first I assumed that they were likely inedible so I didn't take pics before this round. Researching online about FL edibles ran me into the honey mushrooms. Then I realized these look almost like what I saw online. In fact after seeing the honeys online I'm pretty sure over the years I've seen them many times just didn't know and wasn't actively hunting edibles yet. Some observations from the ones in the pics are cinnamon colored lightly darkish brown speckly on the caps. Though I don't have a pic of said spores or a print to show they spored crazy a week or two ago where these now exist but the others have rotted away already. The spores they dropped were super white and powdered the ground all around the previously existing specimens. Definitely pure white like corn starch on the ground around them. The new ones are definitely exactly the same as the last round or two. When picking the one for a gills shot the stem seemed rather fibrous for a mushroom and I believe I read honey mushroom stems are tough. Do I got some good mushies here??? Curious if anyone can help identify these. I am a noob and would love to find some truffles and morels, but I found these and believe they are either panaeolus cinctulus or Panaeolina foenisecii. Again this is a new hobby and I could be way off. The prints are nice and the shrooms are in the trash as I doubt they are edible. I also spent $4.99 on an iPhone app that doesn't recognize anything I show it so your help is much appreciated but not the end of my world if nobody replies. Thanks! I've recently been looking for wild mushrooms and found 3(I had to retreat because of mozzies).The ones on the left I think are prince mushrooms (agaricus Augustus) but I'm not quite sure,I found them next to eachother under a tree (I think it was a pine).Does anyone know for sure? Hey guys I need help identifying these mushrooms so I know if there edible or not I found them in my back yard I live in south west Missouri if that helps. Thanks!!? Hey folks, I thought you all might be interested to know that I will be hosting the following free webinars in April. To register, sign up here: http://bit.ly/radmycowebinars SEEING FUNGI April 14 at 6PM Pacific (9PM Eastern) Fungi are everywhere around us, creating and maintaining whole ecological webs. For many, learning to recognize these relationships is one of the most incredible and inspiring aspects of working with the fungal kingdom. In this presentation, Peter will walk through the critical ecological roles that fungi fulfill from the poles to the oceans and from the forests to the deserts. Along the way, Peter will detail how fungal ecologies have influenced the development human cultures throughout time, including a wealth of incredible evidence that he has uncovered on the importance of fungi in the origins and evolution of life. Whether you are new to mycology or well versed in the topic, this talk will leave you overwhelmed with fascination for the incredible fifth kingdom! WORKING WITH FUNGI FOR GLOBAL RESILIENCE April 28 at 6PM Pacific (9PM Eastern) Mycology is proving itself to be a nearly inexhaustible field for innovation. As new discoveries are constantly being made, there seems to be no end to what fungi can offer humans, their communities, and the environments they touch. In this talk, Peter will explore the wide range of ways to cultivate fungi and integrate them into our lives, homes, and landscapes. 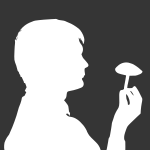 Along with detailing some of the most appropriate mycotechniques currently being developed, Peter will also unveil unprecedented protocols for accessibly growing edible and medicinal mushrooms as well as new learning opportunities for advancing the future of human-fungal relations. HELP IDENTIFYING MUSHROOMS FROM TN!! What Are These Near My New Grape Vine? Hi all, I planted some vines in my backyard about 3-4 weeks ago, and have watered them twice (initially, and just yesterday) with a mycorrhizal product called Great White (http://www.plant-success.com/index.php/mycorrhizal-products/great-white-mycorrhizae.html), to help encourage/establish root growth. There used to be a small peach tree near where this vine is now planted. The tree was cut down about 4 or 5 years ago and the trunk (about 3&1/2" dia.) and some roots remain. I've noticed an explosion of mushrooms near that turned up dirt where one of the peach tree roots is, both times I applied the product. I realize that the mycorrhizal I applied to the soil would encourage fungal growth. I just didn't think about the possibility of it encouraging fungal growth on the surface in the form of mushrooms. My questions are: What kind of mushrooms are those? Should I be concerned with those mushrooms near the new grape vines? If so, how should I remove/control their growth? Could that Great White product be the source of the mushrooms? Or, is it simply feeding the spores/mushrooms already present on the old peach tree roots? Thanks! Note: The first three pics are the most recent, taken this morning. First pic is a closeup of the previous round of mushrooms, they are found in the 2nd pic (near bottom) showing both old and new. The bottom two pics are the original mushroom growth noticed about 7-10 days ago after the 1st application of the mycorrhizal product. Mushrooms on a Florida Beach -- in Sand! I would never have expected that mushrooms would grow on a beach. I would have thought it would be too dry, too windy and too salty. But one of my girlfriends took this photo at St. Joseph Peninsula State Park in Florida last week. http://img.photobucket.com/albums/v227/pshermanfl/Kayaking%20photos/Camping/mushrooms111213.jpg At first I thought someone might have put them there as a prank. Maybe they were plastic? But I did some reading and discovered that there are mychorrizal mushrooms that grow on beaches, too, that help the scrubby trees that grow in the dunes. I am sure the mushroom experts here won't be surprised, but I certainly was! So, what field guides do you guys use? There's a few of them out there, but I've heard not all field guides are created equal. After that, is there any good resources for raising mushrooms? I'm kinda interested in a myco-culture, but, again, not all sources are created equally, so which ones have helped y'all? yasirbdc posted a topic in What Kind of Mushrooms are you Growing?